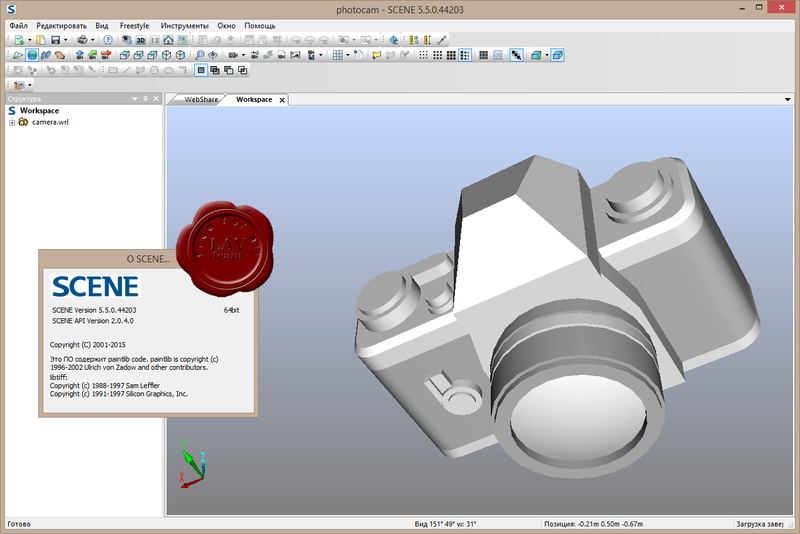 SCENE 3D laser scanner software is specifically designed for the FARO Focus3D. SCENE processes and manages scanned data easily and efficiently by using automatic object recognition as well as scan registration and positioning. SCENE can also generate high-quality colorized scans very quickly, while providing the tools for automated target-less scan positioning. This point-cloud software for scanners is extremely user-friendly, from simple measuring to 3D visualization to meshing and exporting into various point cloud and CAD formats. Once SCENE has prepared the scan data, you can commence evaluation and further processing right away. Scan projects can even be published on a web server at the touch of a button. The new SCENE WebShare feature allows easy access to laser scans with a standard Internet browser.